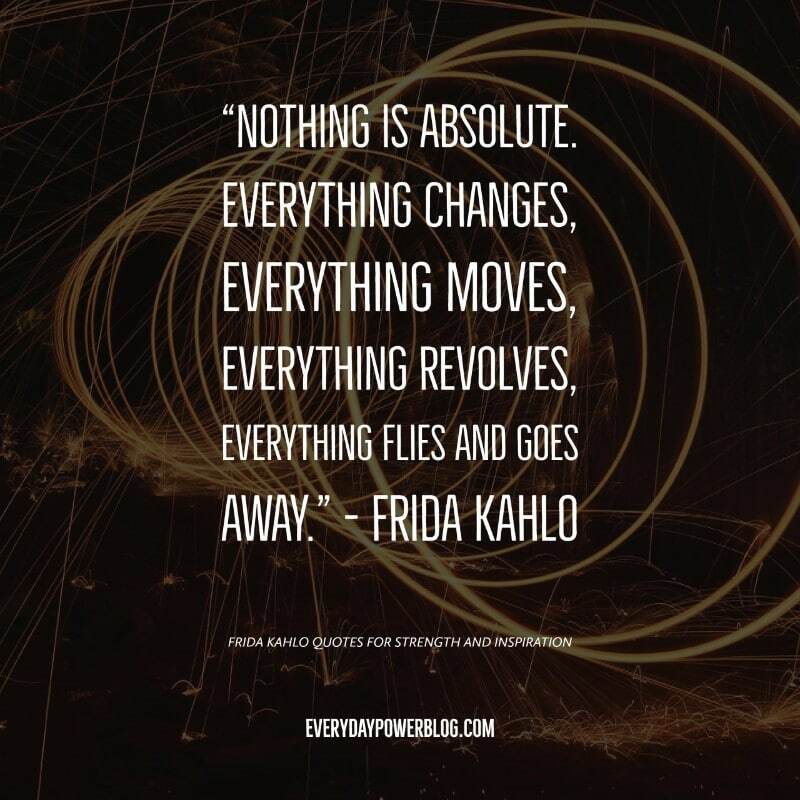 Looking for inspirational Frida Kahlo quotes about life, hope, and love? 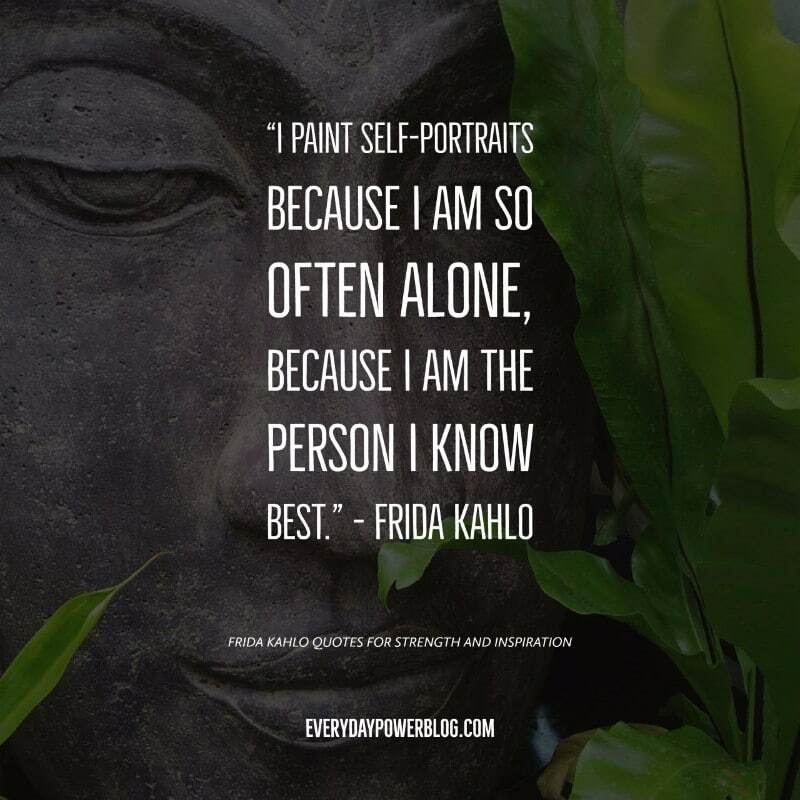 Frida Kahlo has been a long-time icon of mine. 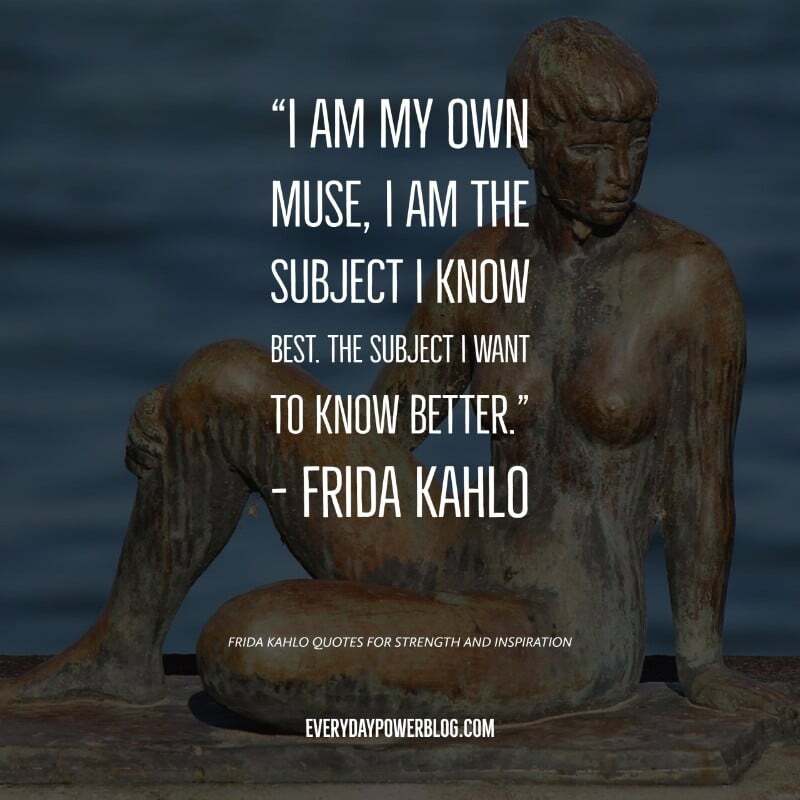 She inspires the art I create, the woman I am, and the boundaries I know I can push, because she blazed a trail. 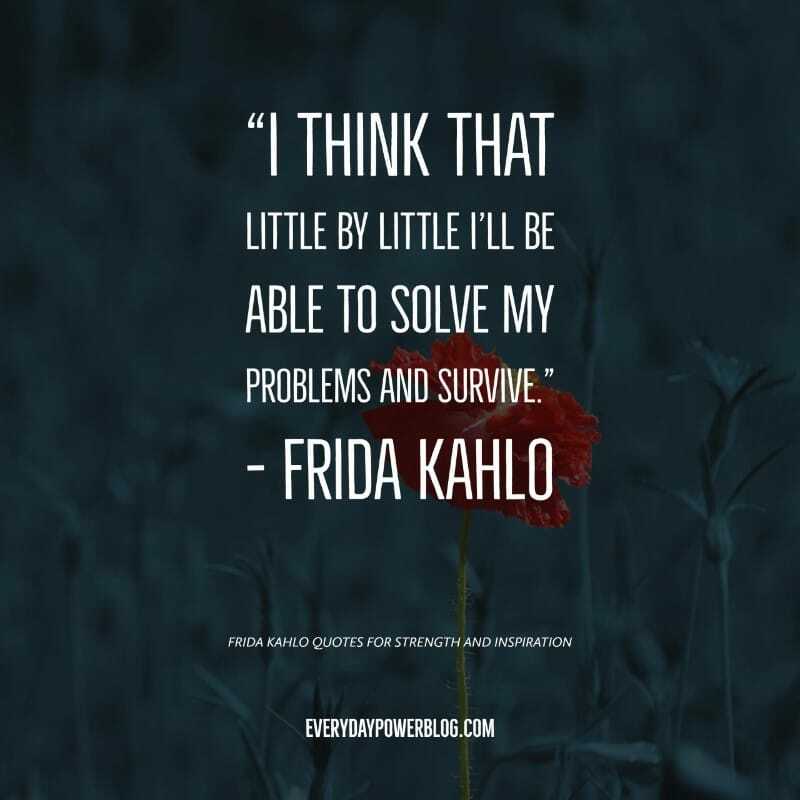 Frida was SO far ahead of her time. When you look back, you would be in awe. If you read her diary from the last year of her life, so full of emotion and art, you see that the “Art journal” is not the new fad they claim it to be. But it was something she was doing out of art and instinct many decades ago. This was a woman who dealt with and survived a great deal, but always did so with a sense of pride, strength, and dignity. 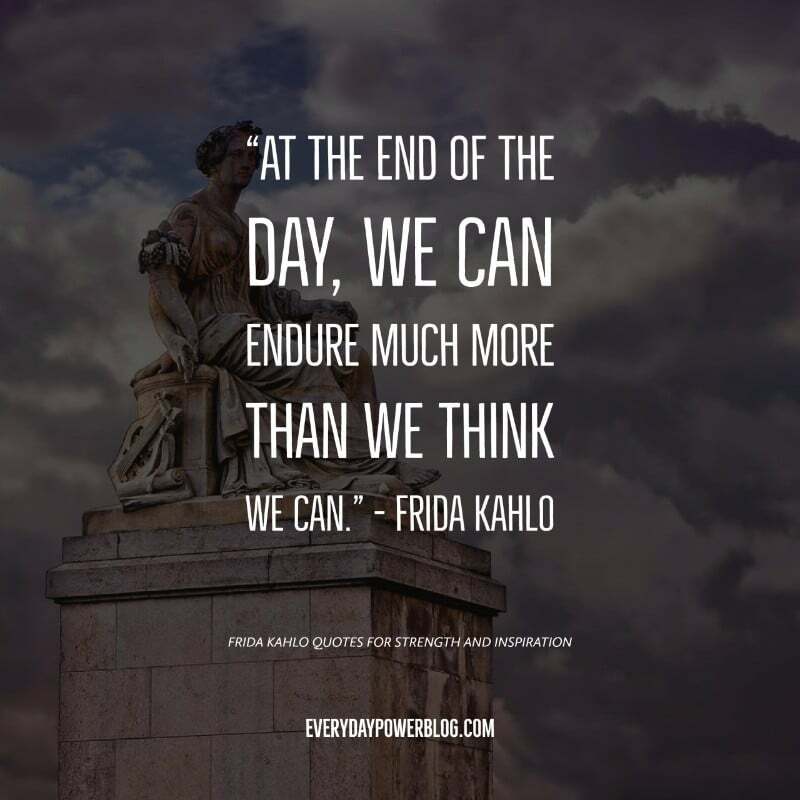 I hope you will be inspired by her as much as I am. 28.) “I used to think I was the strangest person in the world but then I thought there are so many people in the world, there must be someone just like me who feels bizarre and flawed in the same ways I do. I would imagine her, and imagine that she must be out there thinking of me, too. 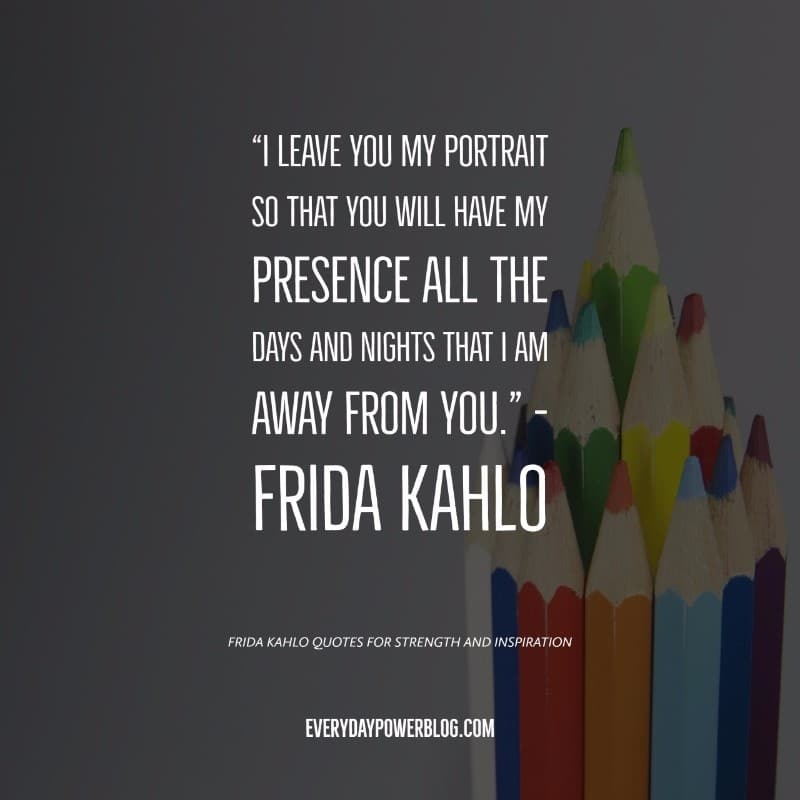 What are your thoughts on these powerful Frida Kahlo quotes? 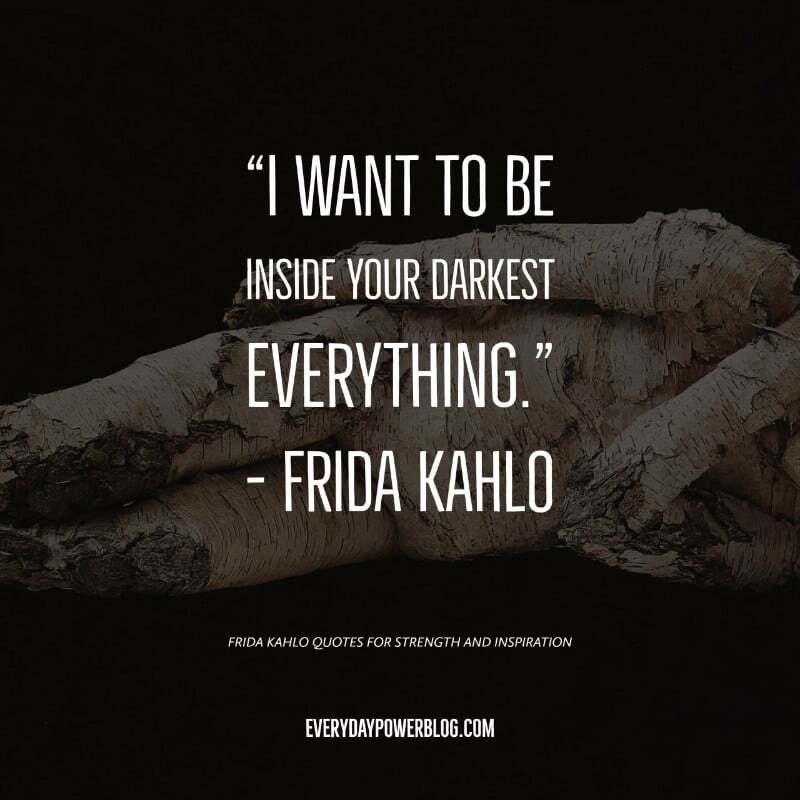 I hope that you have found some inspiration and insight from the words of Frida. Long before it was “allowed” or acceptable, she was paving the way for strong women to do what they loved, and to speak their mind without having to edit herself. This is only a taste of her words. 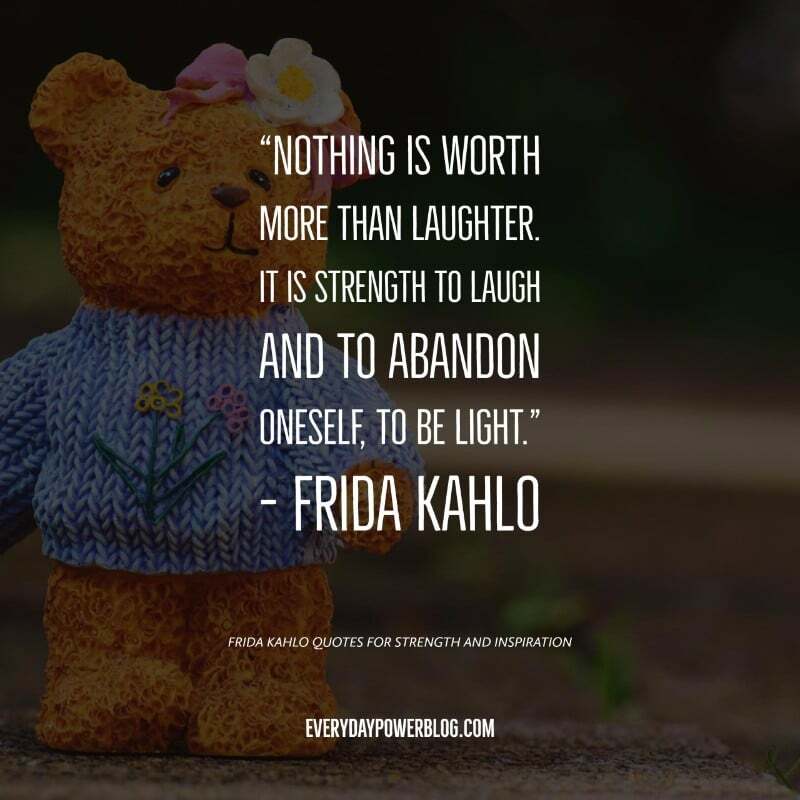 I encourage you to explore this inspirational woman further, as I know you will grow to respect and be endeared by her. She was no shrinking violet – she painted vibrant flowers, and she was one as well. *for some Frida Kahlo-inspired art, please visit NotionsbyNikkiDesign on Etsy. THE SUBJECT I KNOW BEST. THE SUBJECT I WANT TO BETTER. I like what you wrote! 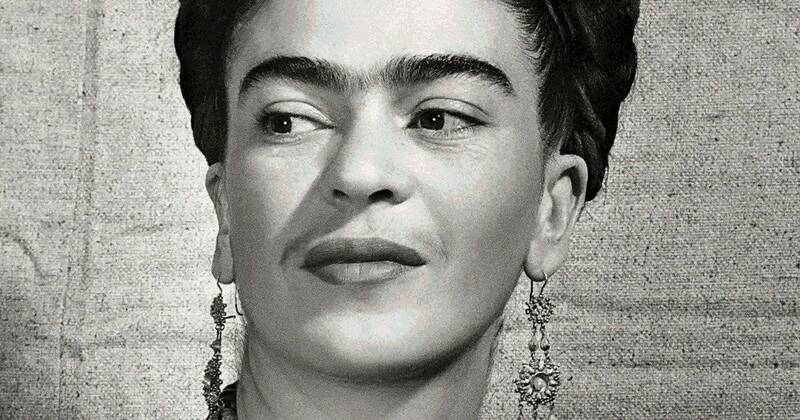 I am a half century’s old and have loved Frida since age 2 before she was popular amongst the masses. We both lost our babies at the same geographical place, different time; I feel I will be forever tied to her because of this. One thing I find irritating about these websites is that they try to whitewash her political history with endless quotes about feelings. She was a communist, and her unshakable faith in communism guided her life as much as her artwork and relationships did.